RS Quick Question from the Mainland! How long physically is the track you guy Drag on??? Hey there all the way in the Big Apple! We run 1/10 scale so 132 feet. We use a Porta Tree system and have 6 ft, 330 ft, 132 ft times and mph. I'll pm you a link for some pics. Eugenes fpv rc dragster run today. Cool video and great to see you out there. Maybe they can persuade to join us with you ex-sand drag car. But you have to fpv it to give us (me) not-so-good-drivers a chance. 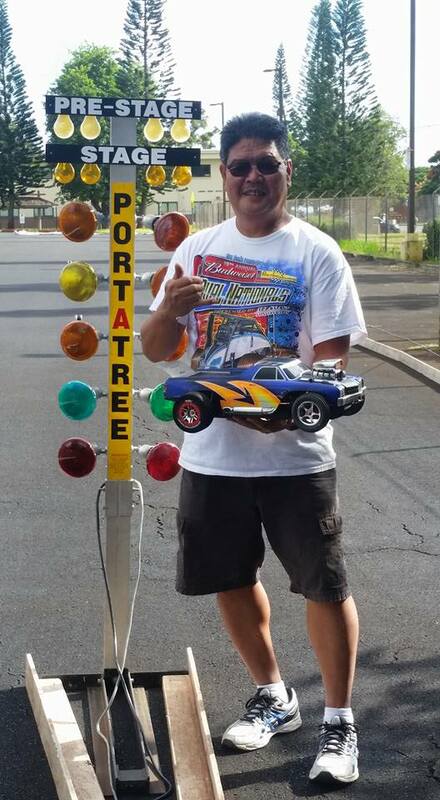 Here is our newest member to our ohana and winner of our Candi Smith traxxas/transmission bracket race Alan Torikawa mahalo HRCDR. Great day for a race...clear sky ending in overcast. Bracket final between Walter and JohnC with John taking the win! We're planning to be out there this Sunday, February 19th, baring any weather issues. Please check back prior to that day for any updates. Hope to see you there! Turned out to be a great day of racing with a good turnout. Weather held up well albeit a bit chilly. Track had great traction thanks to Gary and the elements. 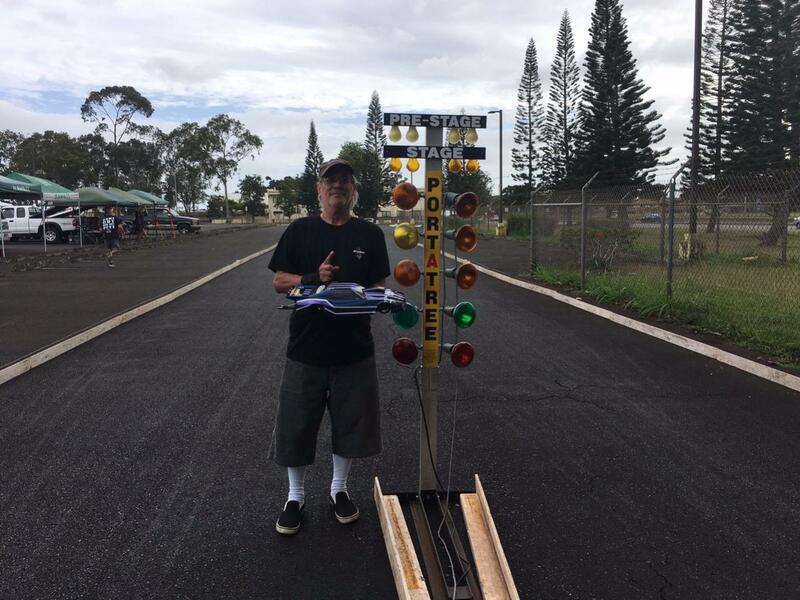 Congrats to Walter for his Bracket Race win. Last edited by rskoncepts; 02-22-2017 at 06:34 PM. If all goes well we'll be out there this coming Sunday, March 19. See you there!